At almost 350 years old, Merck is the oldest family-owned pharmaceutical company in the world. 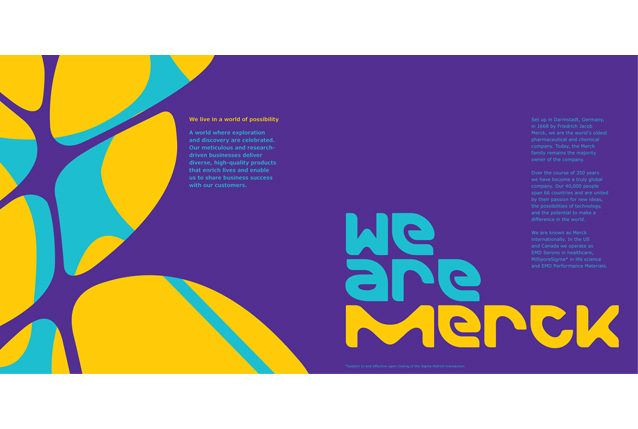 Recognising the need to strategically re-define the business and to re-brand in a way that would better represent them, they appointed Futurebrand to assess, re-evaluate and create a bold new Merck. Working closely with Futurebrand’s UK strategy team, we developed their brand messaging, Tone of Voice and copywriting over the course of six months, a process that involved interviews with Merck’s global teams and workshops at their Darmstadt HQ. 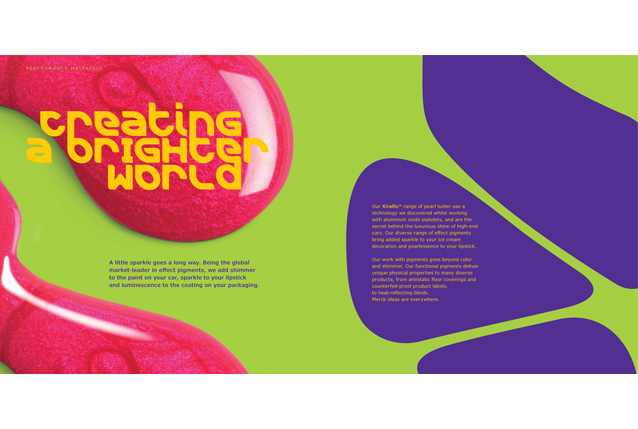 The Who We Are brochure was our first opportunity to bring their new Tone of Voice to life in print and showcases their brave new look and feel and approach to communications.